No picnic is complete without potato sandwich. An easy snack to make that is tasty and mess free to transport. I make it the Indian way with lots of crunchy lentils and a spicy dipping sauce. The result is yummy sandwich ready to be gobbled up in minutes. Heat oil in the pan. Start with the mustard seeds. Once it sputters, add the green chillies and the dals. Take caution not to burn the dals. Once the dals are crunchy and light brown, add the finely chopped onions. Fry till it is slightly brown. Add salt and the chilli powder. Finally add the potatoes and fry a bit. Leave it on medium heat for a short while, stirring in between to avoid burning. The potatoes are ready to be stuffed. Add some butter and heat the sandwich maker until ready. 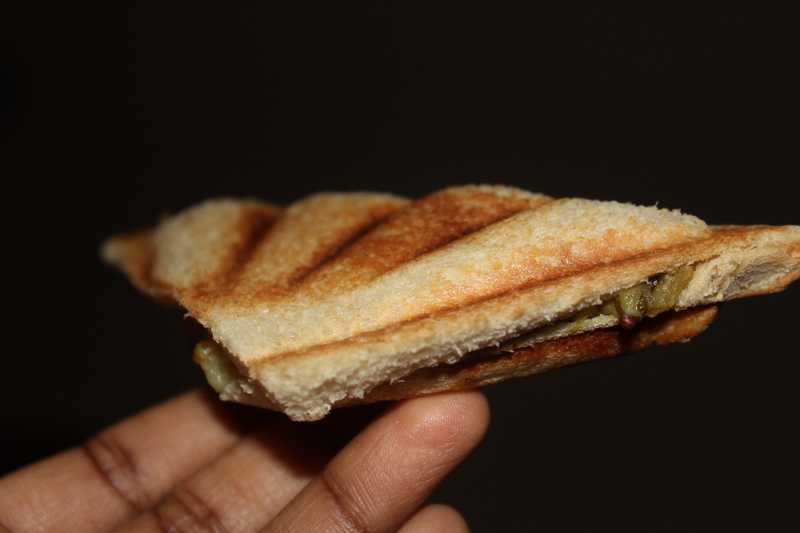 Scoop some potato mixture in between 2 slices of bread and make the sandwich in the sandwich maker. 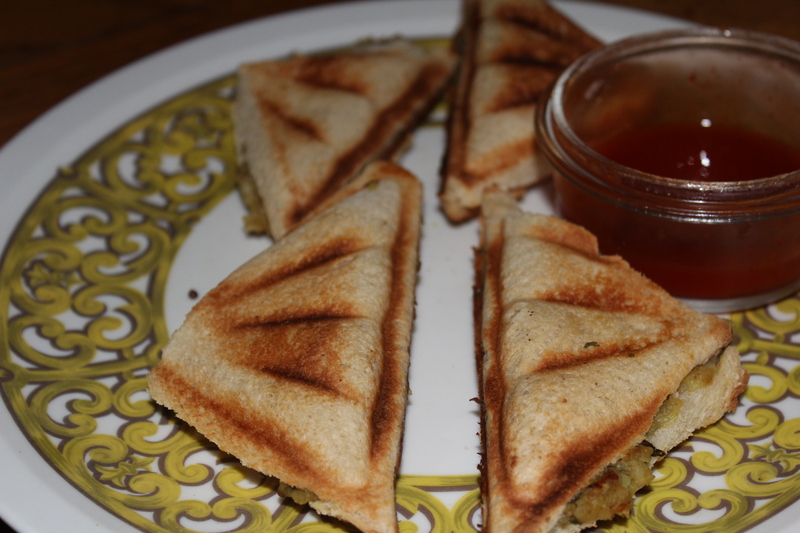 Tip: You can spread some mint chutney on one of the bread to make it more tangy. But make sure you serve it immediately since the chutney will make the bread a bit soggy. Serve it with some Maggi hot sauce or regular Ketchup.